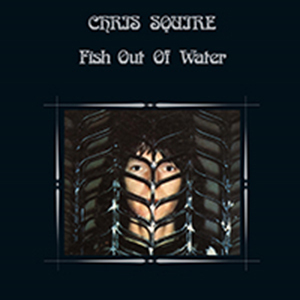 Esoteric Recordings are proud to announce the release of an official limited edition deluxe boxed set of Yes founder CHRIS SQUIRE’s legendary 1975 solo album FISH OUT OF WATER. Recorded in the late Spring and Summer of 1975 whilst Yes was on hiatus as members recorded their respective solo albums, FISH OUT OF WATER was a breath-taking work, and equal in standard to any Yes album in terms of sheer invention and creativity. 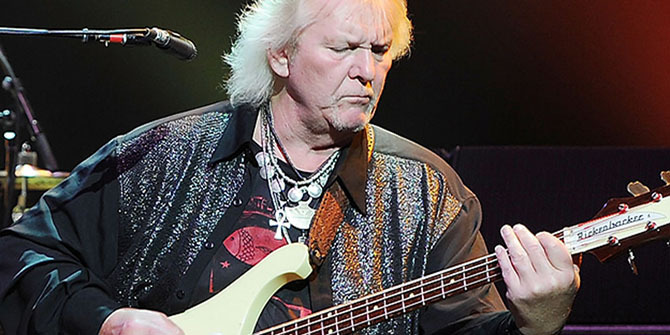 The album was essentially a collaboration between Chris Squire and his friend Andrew Pryce Jackman, a gifted arranger who had been a member of The Syn, Squire’s pre-Yes group. The sessions saw contributions from former Yes drummer BILL BRUFORD, Yes keyboard player PATRICK MORAZ and noted musicians MEL COLLINS and JIMMY HASTINGS. Released in November 1975, FISH OUT OF WATER was a Top 30 chart hit in the UK and made the US Billboard Top 75 album chart, going on to sell nearly 500,000 copies worldwide. The highlight of this limited edition deluxe boxed set is a stunning new 5.1 Surround Sound mix (exclusive to this set on an NTSC / Region Free DVD), along with a new stereo mix, from the original multi-track master tapes by JAKKO JAKSZYK and a new re-master of the original 1975 mix by Paschal Byrne. FISH OUT OF WATER also includes four bonus tracks of the single edits of ‘Lucky Seven’ and ‘Silently Falling’, along with both sides of the 1981 single by CHRIS SQUIRE and ALAN WHITE; ‘Run With the Fox’ and Return of the Fox (appearing on CD for the first time). 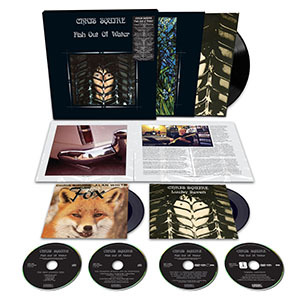 The boxed set also includes a replica 180 gram gatefold LP with poster of FISH PUT OF WATER (mastered and cut from the original tapes at Abbey Road studios), along with two seven inch singles of ‘Lucky Seven’ b/w ‘Silently Falling’ and ‘Run With the Fox’ b/w ‘Return of the Fox’, both in picture sleeves. To complete the content is a visual DVD (NTSC / Region Free) featuring the 1975 FISH OUT OF WATER promotional film featuring the songs Hold Out Your Hand and ‘You By My Side’, along with a 2006 interview with Chris Squire conducted by Jon Kirkman and a 2006 audio commentary by Chris Squire. Finally, the set also contains a 36-page book with an essay by Sid Smith featuring exclusive interviews with BILL BRUFORD, PATRICK MORAZ, GREGG JACKMAN and JAKKO JAKSZYK. Always justly proud of his first solo album, it was Chris Squire’s long held wish that a 5.1 Surround mix would be undertaken of the work someday. This Esoteric Recordings edition finally brings this to fruition and is a fitting tribute to the artistry of Chris and his collaborator, Andrew Pryce Jackman. Find out more & pre-order here. Also available is an official remastered and expanded 2CD edition reissue of the album, which features a stunning new Stereo mix from the original multi-track master tapes by JAKKO JAKSZYK and a new re- master of the original 1975 mix by Paschal Byrne. The 2CD version also includes four bonus tracks of the single edits of “Lucky Seven” and “Silently Falling”, along with both sides of the 1981 single by CHRIS SQUIRE and ALAN WHITE; “Run With the Fox” and “Return of the Fox” (appearing on CD for the first time). The set also contains an illustrated booklet with an essay by Sid Smith featuring exclusive interviews with BILL BRUFORD, PATRICK MORAZ, GREGG JACKMAN and JAKKO JAKSZYK. This Esoteric Recordings edition is a fitting tribute to a wonderful album and the artistry of Chris and his collaborator, Andrew Pryce Jackman. Find out more & pre-order here. Both titles will be released April 27th 2018 and are available to pre-order now from Cherry Red Records. 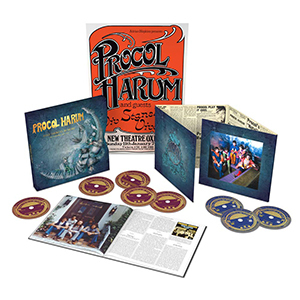 Esoteric Recordings are proud to announce the release of an official limited edition super deluxe boxed set celebrating fifty years of the legendary Procol Harum; Still There’ll Be More. This eight disc set comprises five CDs and three DVDs, of which the first three discs draw upon the key tracks from Procol Harum’s illustrious career. 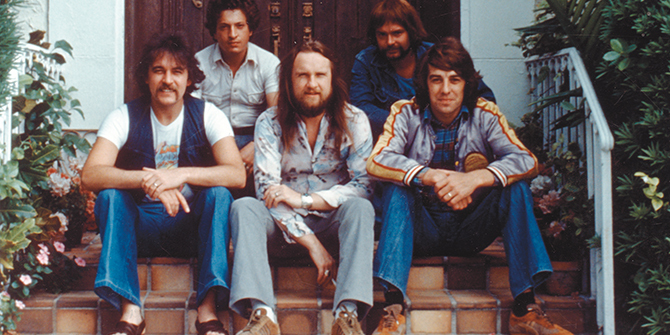 Disc four features the band’s legendary concert at the Hollywood Bowl on 21 September 1973 (with the Los Angeles Philharmonic Orchestra and the Roger Wagner Chorale), whilst disc five features a previously unreleased concert at the Bournemouth Winter Gardens on 17 March 1976. This lavish re-mastered set also features a sixty-eight page hard backed book with an essay by Patrick Humphries and a lengthy in depth commentary on the performances featured by respected Procol Harum authority Roland Clare. The book also includes many previously unseen photographs and memorabilia from Gary Brooker’s private collection. Still There’ll Be More also includes a 60cm x 40 cm reproduction poster from a Procol Harum concert (featuring support from Vivian Stanshall) in 1976. But there's more! Also available is a scaled-down 2CD newly remastered two CD set. 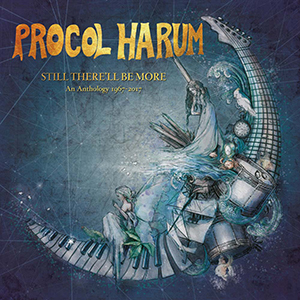 This set draws upon 29 key tracks from Procol Harum’s illustrious career, beginning with the classic A Whiter Shade of Pale, released in May 1967 and features material from each of their albums from their eponymous debut album issued in 1967 to their most recent work, Novum, issued in 2017. Find out more & pre-order here. Both titles will be released March 23rd 2018 and are available to pre-order now from Cherry Red Records.